Daniel W. Coburn lives and works in Lawrence, Kansas. His work and research investigate the family photo album employed as a visual infrastructure for a flawed American Dream. Selections from his body of work have been featured in exhibitions at the Los Angeles Center for Digital Art and the Chelsea Museum of Art in New York. 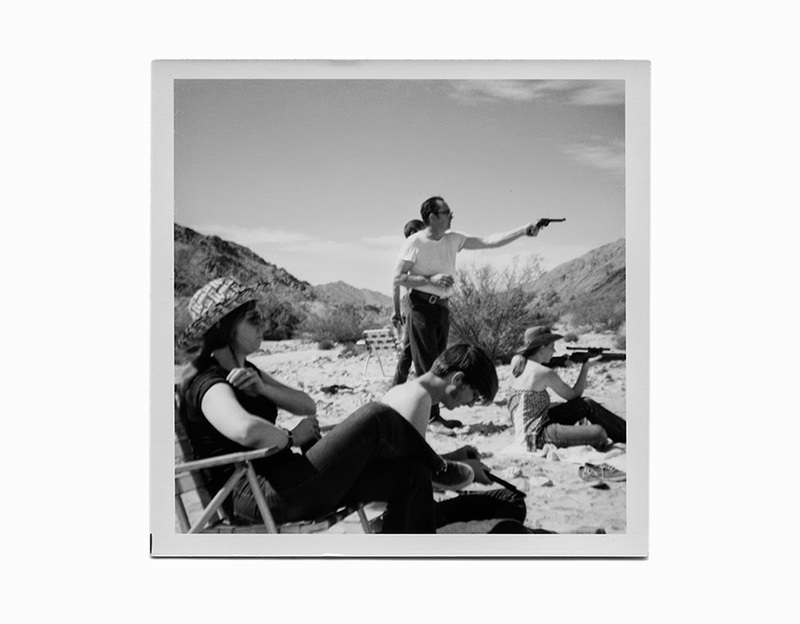 Coburn's prints are held in collections at the Museum of Contemporary Photography (Chicago), the University of New Mexico Art Museum, the Mulvane Art Museum, the Albrecht-Kemper Museum of Art, and the Mariana Kistler-Beach Museum of Art. He has been invited as a guest lecturer at national and international photography events including the International Festival of Photography in Belo Horizonte, Brazil and the Helsinki Photo-Media Conference. 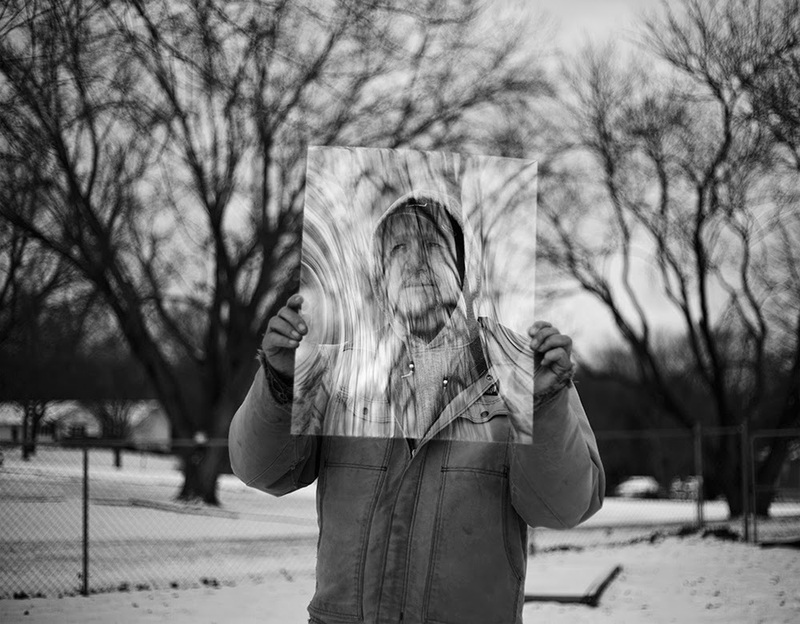 Coburn received his BFA with an emphasis in photography from Washburn University. He received his MFA with distinction from the University of New Mexico in 2013. 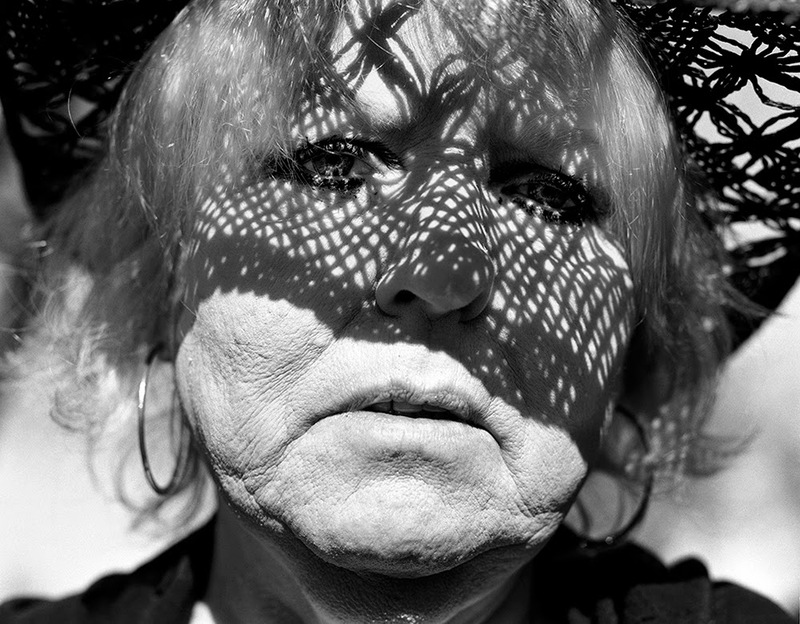 He is currently an Assistant Professor of Photo Media at the University of Kansas. Deedra Baker: The Hereditary Estate is your first major monograph. Why was it important for your photographic work to be presented in a book format? Daniel W. Coburn: For me, the book format provides a unique curatorial opportunity. The experience we have when flipping through the pages of a book is much different than walking into a physical space and interacting with work in a traditional exhibition. Both can be dynamic in their own way, but I enjoy the book format because I have control over sequencing. It allows me to take more control over the narrative and create a powerful psychological dialogue between carefully chosen images. My goal is to inspire a strong psychological response from my viewer, and I think I am able to accomplish that with a book. All of my work is a response, or supplement to the traditional family photo album. Most family photo archives are filled with visual cliché's: a series of staged happy moments that punctuate the banality or tragedy of everyday life. These collections became the visual infrastructure for the false ideology of the American Dream. The Hereditary Estate is a family album, one that is designed to puncture that illusion. It just makes sense that it is presented as a book or album. DB: Throughout your oeuvre, you appropriate and / or utilize the vernacular photograph. How do you acquire said photographs? What is the nature of their existence in The Hereditary Estate as they are paired with images from the series, Next of Kin and Waiting for Rapture? DWC: I am fascinated by amateur photography. I collect amateur snapshots for pleasure and include them in my own work. I find them in a variety of places: antique stores, estate sales, garage sales and online auction sites. My approach to collecting is similar to my strategy for making my own photographs. I am looking for images that possess a dark psychological undercurrent, ones that don't fit the paradigm of the ideal American family. I am also looking for images that have a similar potential, but require some sort of intervention on my part. In recent work, I have been physically altering these vernacular photographs to transform the family narrative. 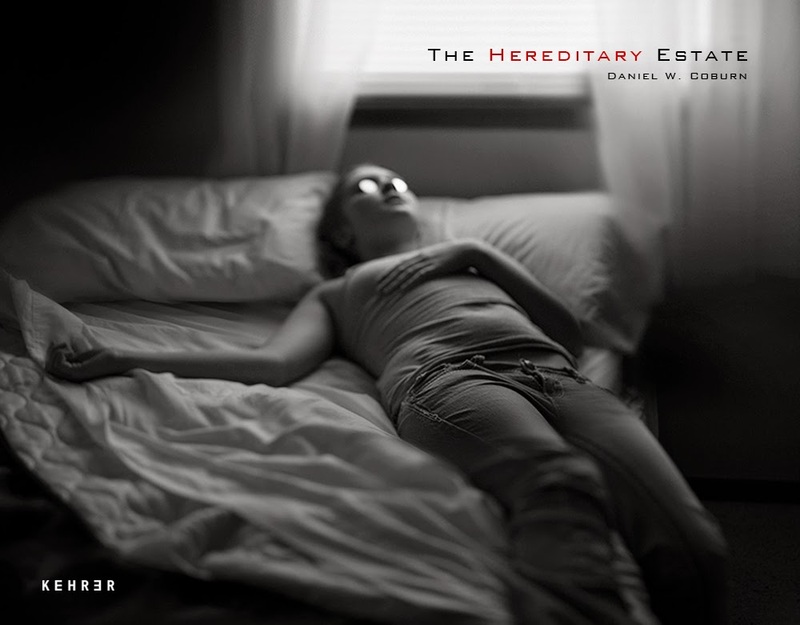 DB: The Hereditary Estate explores themes of the “American Dream,” family dynamics, and psychological trauma. Do you feel that in making this work you have grappled with your “loss of spiritual and domestic faith?” Or, do you see this body of work as a narrative of such experiences rather than an experience of catharsis? DWC: I believe that I am telling an important story. 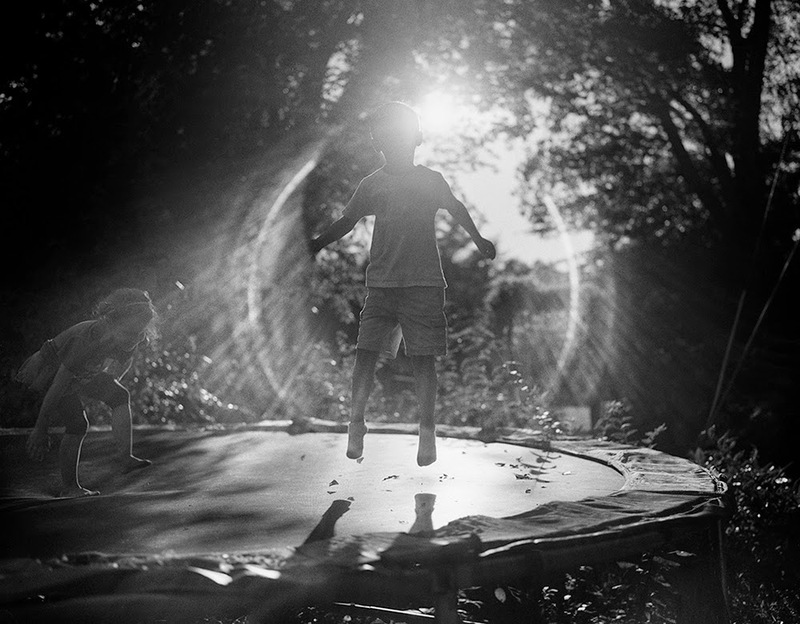 I am inspired by artists like Emmet Gowin, Sally Mann, Ralph Meatyard and Larry Sultan, who believed something very important, inspiring, or life-altering can be found in the quotidian, or the everyday. My own family history is haunted by instances of substance abuse, domestic violence, and suicide. Has this process been cathartic for my family and me? Yes, very much so. Can it be cathartic for my audience? I have found that many, or most people have similar stories in their own familial histories. I hope that people can look at my pictures and recognize a bit of himself or herself, or someone they know in the set of characters that I present. I hope that my work inspires conversation and discourse surrounding family, and the representation of family in pictures. 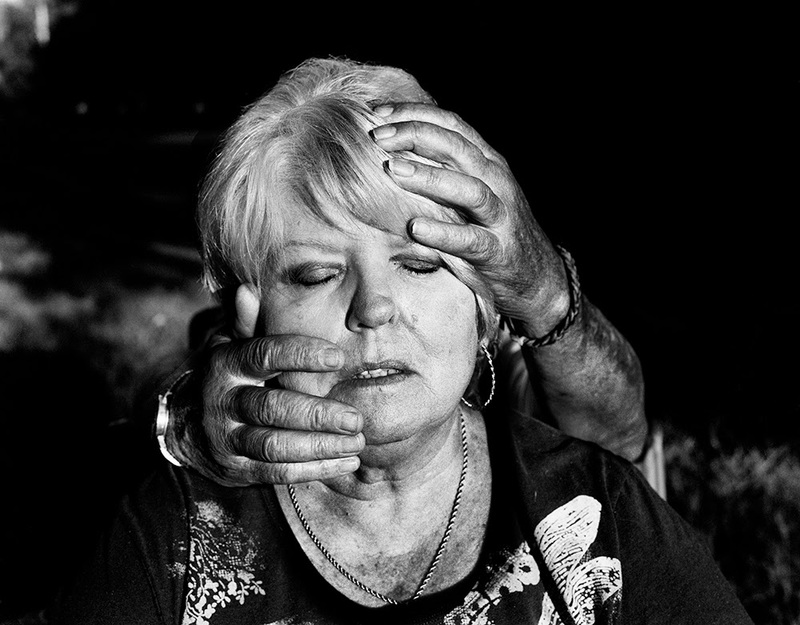 DB: There is a tenuous balance between the sinister and fragile in your photographs. As you make work, which depicts your family unit, do you see this juxtaposition as an important quality to these intimate, sublime images? DWC: Jenna Garrett once described my work as "…a mixture of resentment, questions, and hurt always present in a ferocious love." I think this description is accurate. I am at odds with these people in my life. I love them, they love me, we have hurt each other, and we have survived each other. I have described my mother, the powerful matriarch of my family, as having a presence that is simultaneously menacing and fragile. My father, intimidating because of his rough and brawny exterior, is actually quite vulnerable. This juxtaposition is important, but only because I want to provide a compassionate glimpse of the people that I love, but at times resent. DB: There have been two successful years for you since your last Light Leaked interview (published September 03, 2012). What, if any, career, promotional practices, or working methodology changes have occurred between now and then? Also, please share information about your Limited Edition Collector’s Portfolio and Limited Edition Pre-sale of The Hereditary Estate. DWC: It's important to me that my work reaches the public. Over the past two years I have been working feverishly to make new photographs and exhibit as much as possible. I see this new book, The Hereditary Estate, as a retrospective, but also as a conceptual work of art. It's a physical supplement to the broken family album that exists in most family archives. The book is being published by Kehrer-Verlag with international distribution, which means this new album will appear on bookshelves in homes all over the world, completing a necessary conceptual component of my work. I am currently working to schedule a series of exhibitions and signing events surrounding the release of the new publication. I am excited to announce that the first in a series of traveling exhibitions will take place at the Mulvane Art Museum from January 9th - March 14, 2015. I am offering a limited edition pre-sale book as well as a special collector's edition portfolio to offset framing and shipping costs for this traveling exhibition. The book is priced below retail cost for a limited time. I would greatly appreciate your support. The scientific aspect of photography is very important and as per Port Macquarie Photographer learning as much as you can about it is certainly worth your time and efforts.